If anyone had said at the beginning of the season that FC Barcelona would be where they currently are at the beginning of the season, they would have either been called deluded or incurable optimists. Comfortably leading the La Liga table (11 points ahead of second place Atletico Madrid), into the Copa Del Rey semis and playing Chelsea in the UEFA Champions League round of 16, life is good for Cules right now. Following the fiasco of the whole Neymar affair and fans’ anger at the way the club was being run by Josep Bartomeu and the board had created a poisonous state of affairs that threatened to derail the season. The humiliation that Barca had received at the hands of arch-rivals Real Madrid in the Spanish Super Cup seemed a tip of the iceberg and a foretaste of what the season would offer. 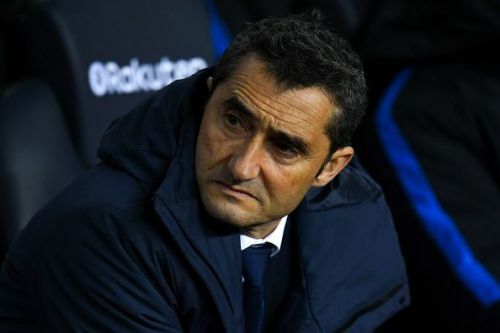 Enormous credit must be given to manager Ernesto Valverde for the way he has managed to turn things around in his customary calm and methodical manner. While stars like Lionel Messi and Sergio Busquets among others have maintained their usual high standards, some previously underperforming players have risen to the occasion under Valverde’s guidance. Forgotten man, injury-prone, “I forgot he plays for FC Barcelona”. These and many more are just some of the phrases that have been used to describe the former captain of the Belgian national team. It is a testament to how badly his career has been affected by injuries to see that he has only played 28 since he joined the Blaugrana from Arsenal in 2014. These 28 games include the 9 he played while on loan at AS Roma in 2016. 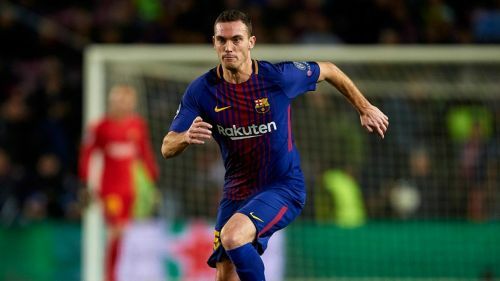 The 32-year-old left footed center-back has been given a new lease of life since Valverde took over and has looked close to the player Barca thought they were getting when they signed him for £15m. He has slotted in alongside Gerard Pique and in the 8 La Liga games he has played so far, he has been almost faultless in his tackling, passing and defensive duties. In the injury-enforced absence of Samuel Umtiti, he covered for the French player and was superb scoring an average pass accuracy of 93% and creating 3 chances. He could prove a key squad member giving the number of matches to be played between now and the end of the season. FC Barcelona: Who should replace Ernesto Valverde if he gets sacked?